Little penguins go under a number of common names: little blue and just blue are also perfectly acceptable. This has to be one of the more intriguing species in the park. They are either very elusive or so obvious that they can even become troublesome. Ask any bach owner who has had the dubious pleasure of them nesting under the floorboards! 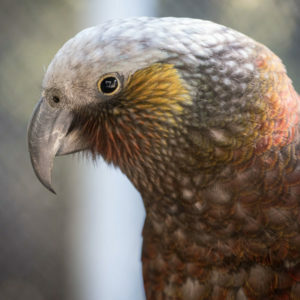 Their inherent intrigue also comes from them being so unlike other birds: a bird that cannot fly but uses its wings as flippers to swim at speed and depth. Add to this the appealing caricatures of penguins and the complete lack of them in the northern hemisphere and they become even more appealing. 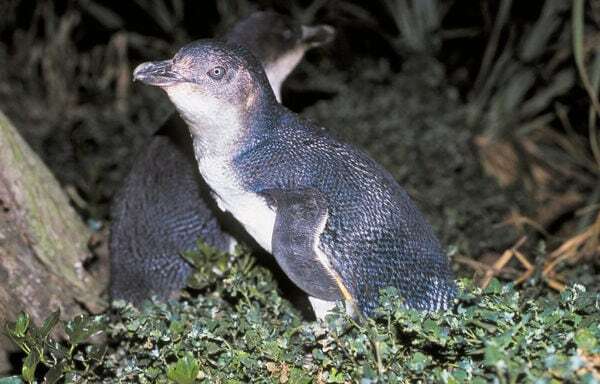 The appeal of little penguins is such that a tourist viewing initiative in Oamaru became so popular that visitors stayed overnight and the town’s economy witnessed a big revival. Project Janszoon is committed to restoring the natural values of this national park and little penguin are a significant part of the birdlife which may need management. Before we launch into management based on assumptions, it would be wise to have a better understanding of the situation. With these little penguins we don’t really know if they are now less abundant or missing from some places where they used to be. 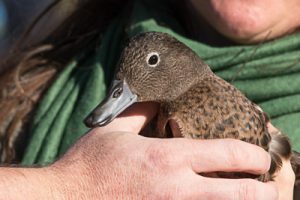 Neither do we have a good understanding of the current distribution and whether their numbers are being held back by predation or lack of nesting sites or some limiting factor at sea. A project is underway to improve our knowledge of where they are and how successful their breeding efforts are. Contributors to this project are likely to be regular park users, bach owners, tour operators or those already engaged in conservation work along the coast. We ask that you complete a card for each nest you discover, visit the nest on several occasions if at all possible and then return your cards to the address supplied. If you wish to contribute and need observation cards please make contact through this site or by emailing me at peterdgaze@gmail.com. I am also happy to advise on how best to find nests and how to observe without disturbance. We will endeavour to keep track of the data on the Janszoon website so that you can also appreciate any overview that comes from all the individual contributions.